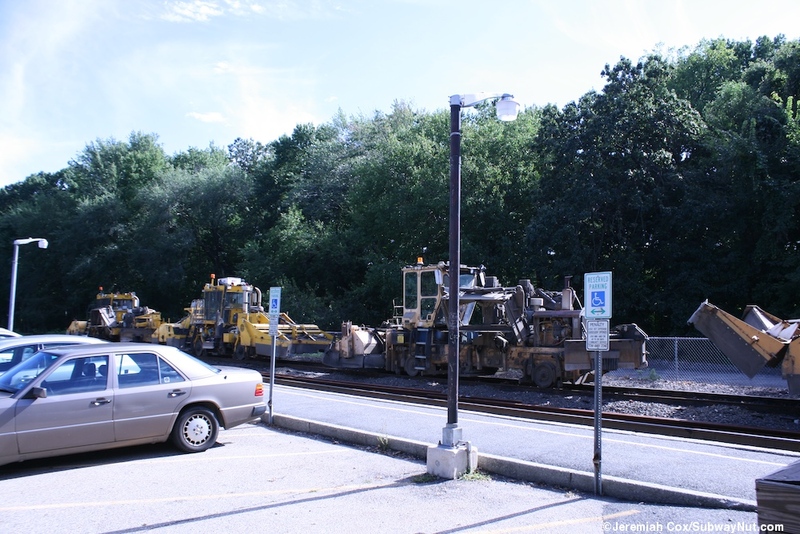 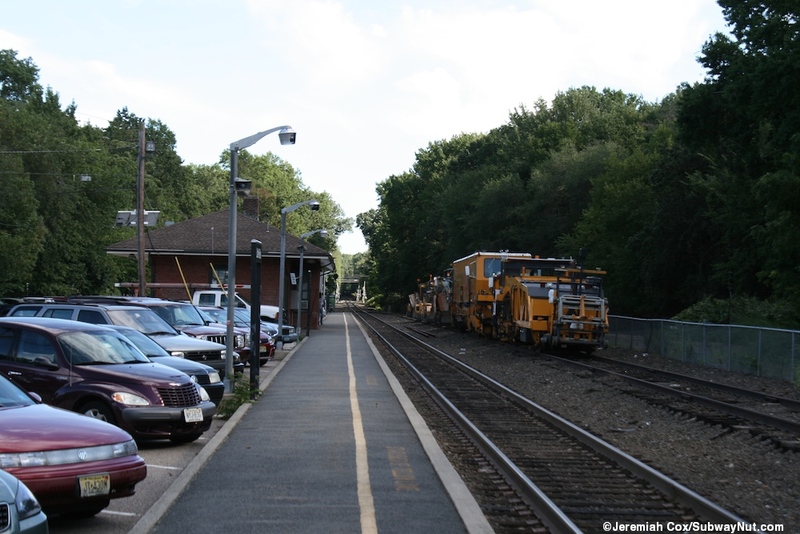 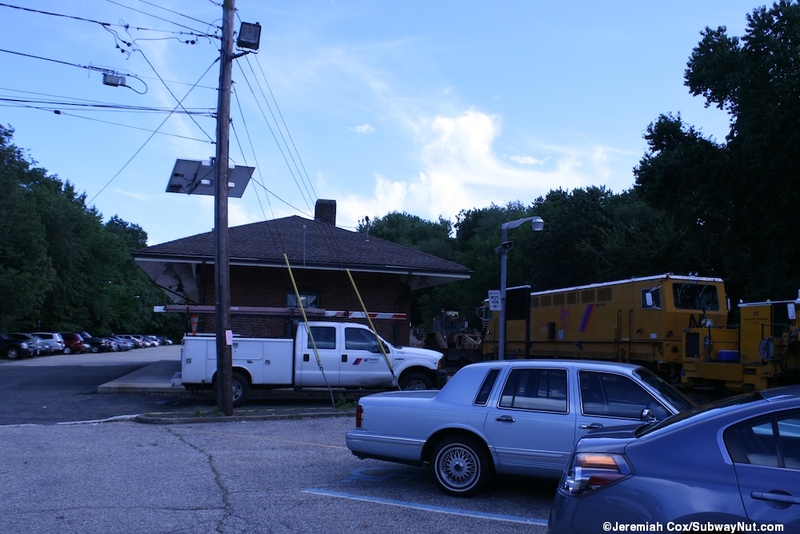 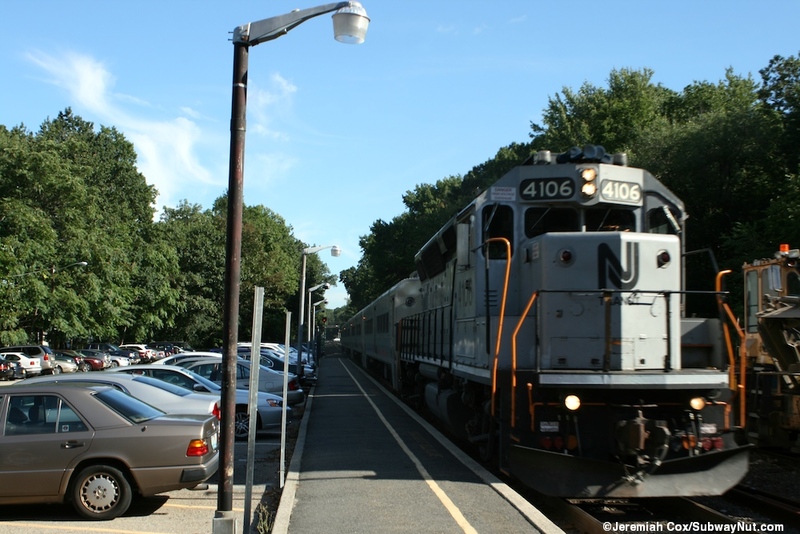 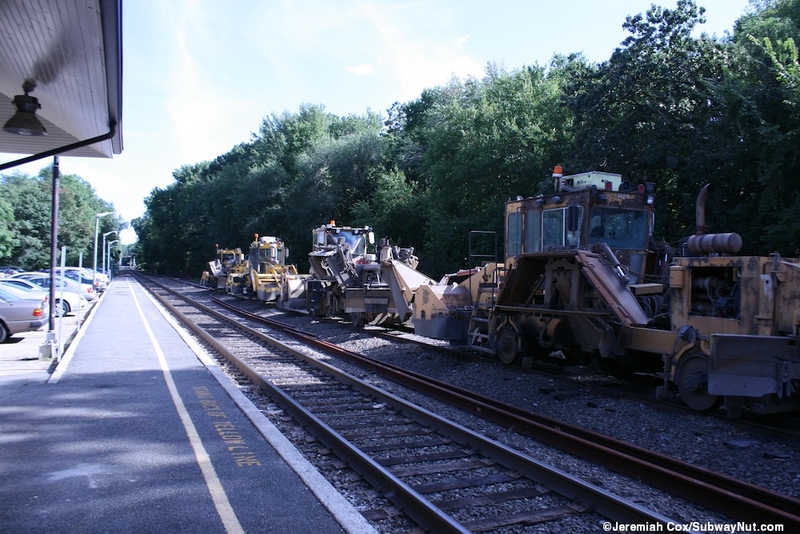 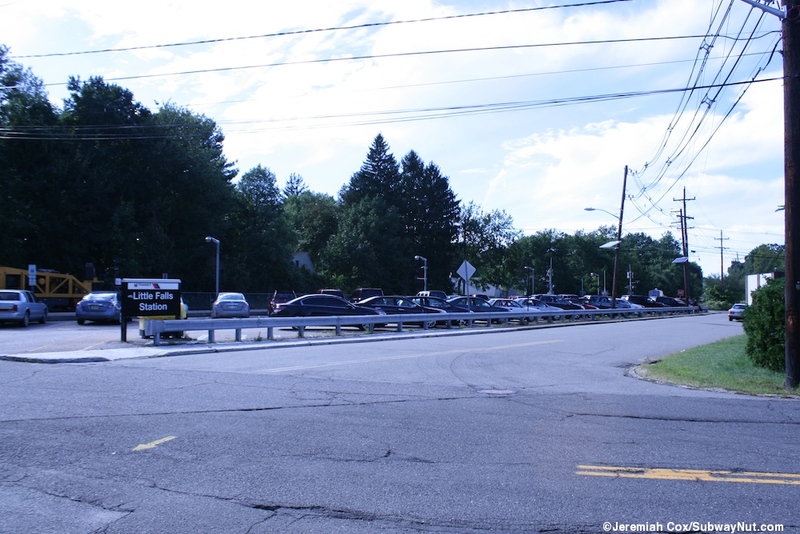 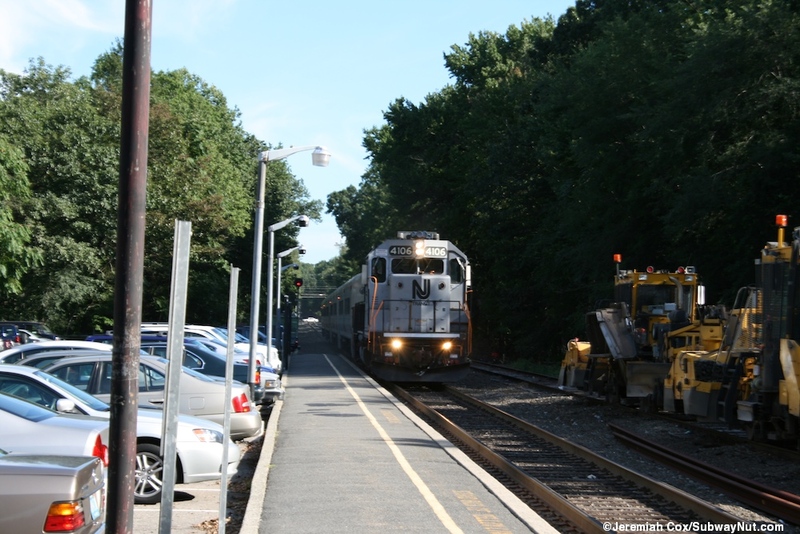 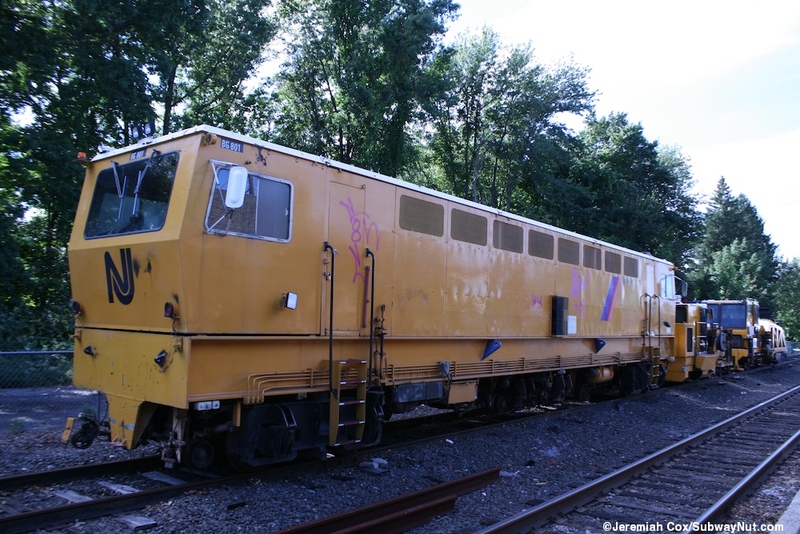 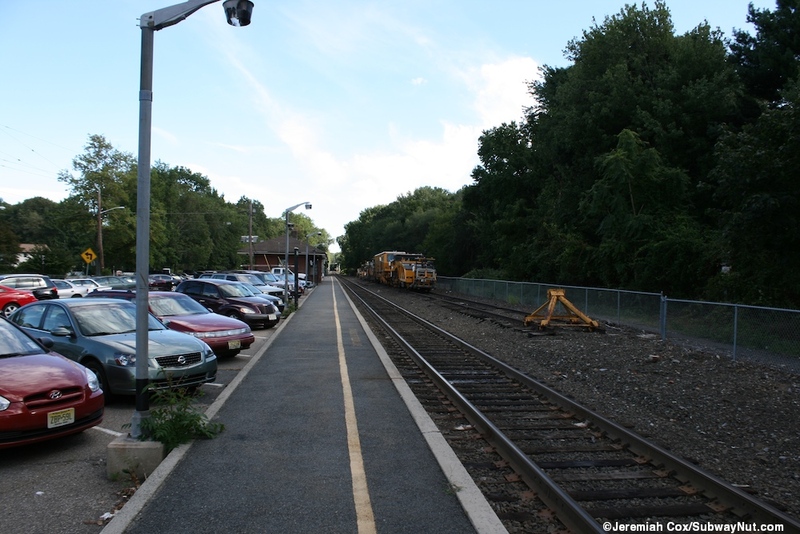 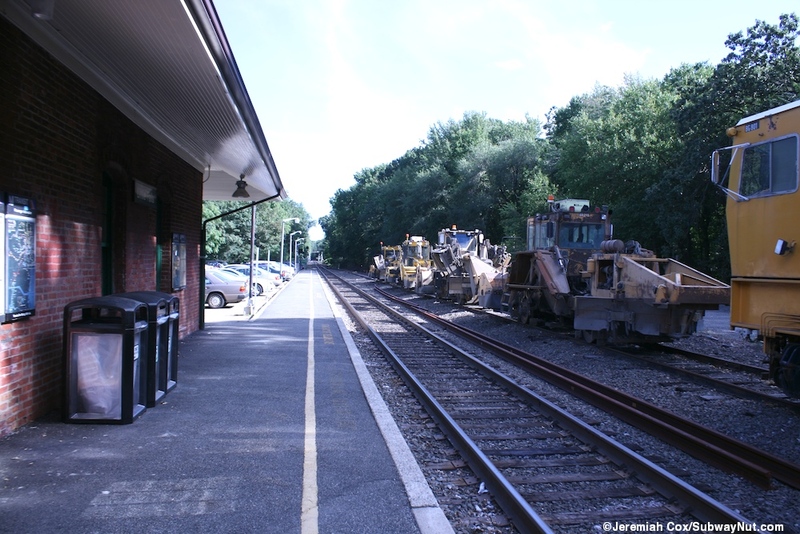 Little Falls is the first open station stop on the diesel portion of the Boonton Line and receives extremely limited peak direction only service from just 5 AM trains into Hoboken, and ten PM outbound trains. 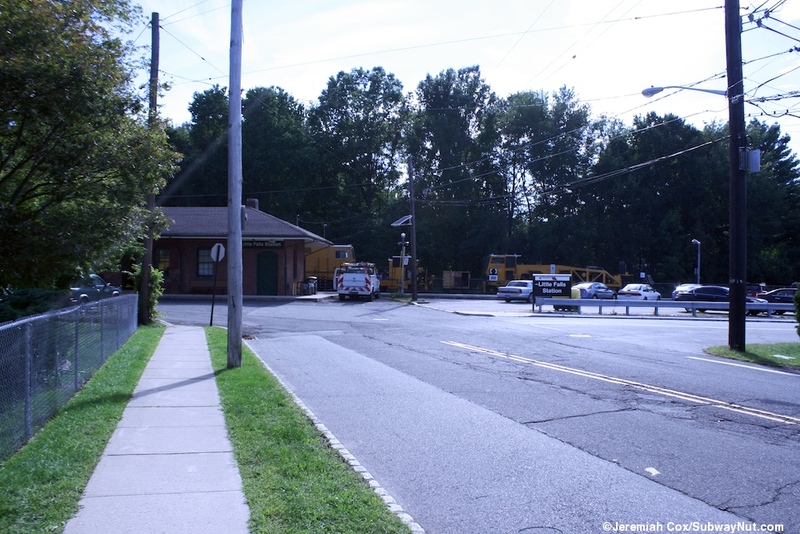 The stop has a single low-level side platform that feels like a sidewalk on the NE side of a single track opposite a siding that ends before the grade crossing that was full of Maintenance of Way equipment when I visited. 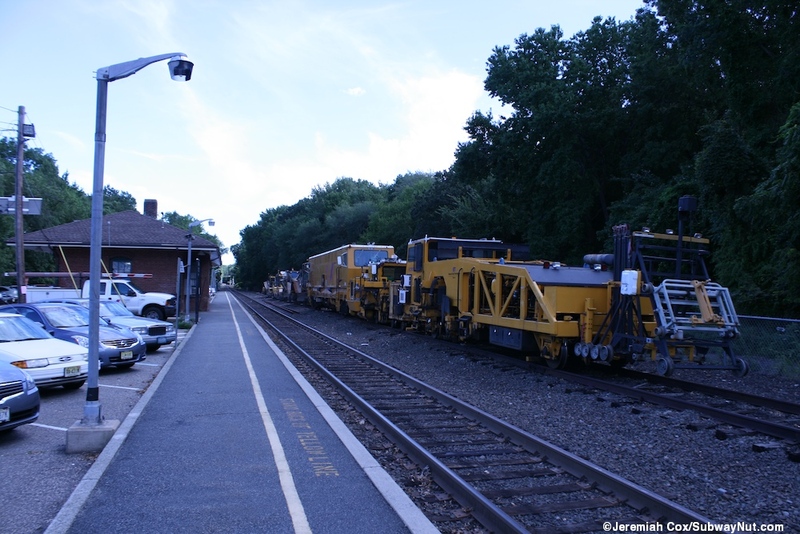 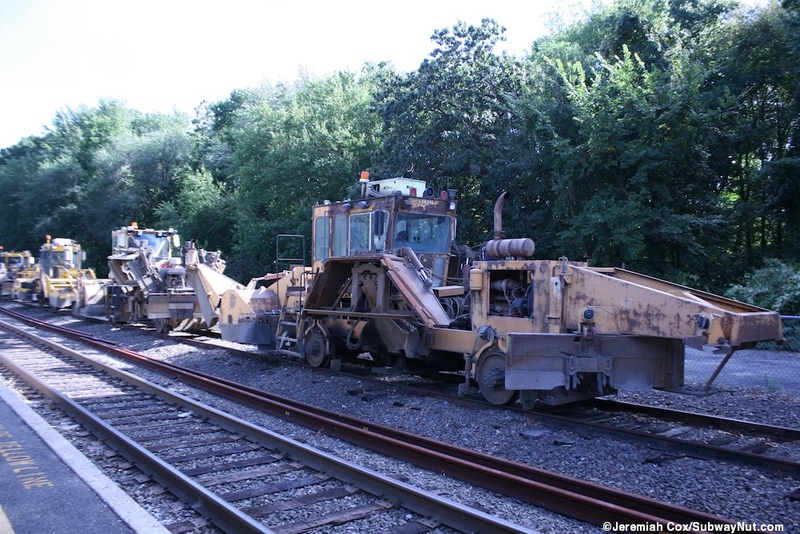 This platform begins at the grade crossing of Montclair Avenue at its NW end. 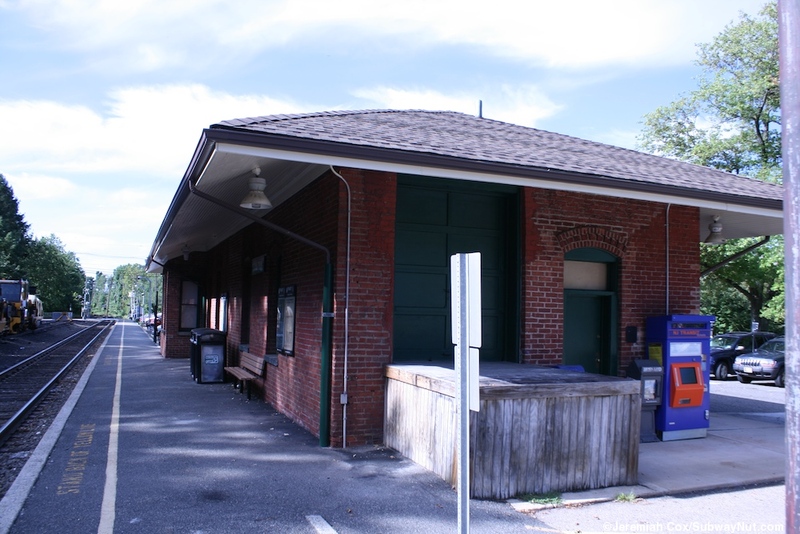 Along the middle of the platform is a small (and non-historic according to the station's signage) one story brick station house with slight eves covering a bench. 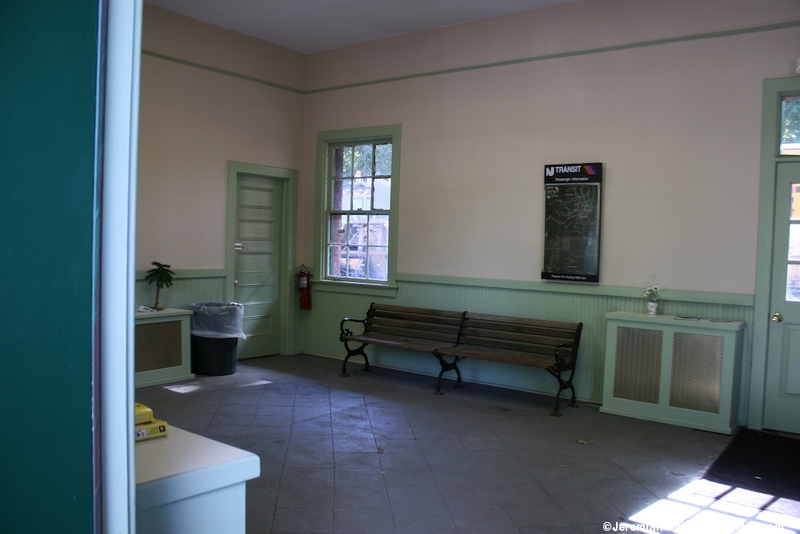 Inside the station house is a waiting room (I'm unsure if its open every morning, but was open when I visited by an employee doing maintenance) with a NJT map and a single bench. 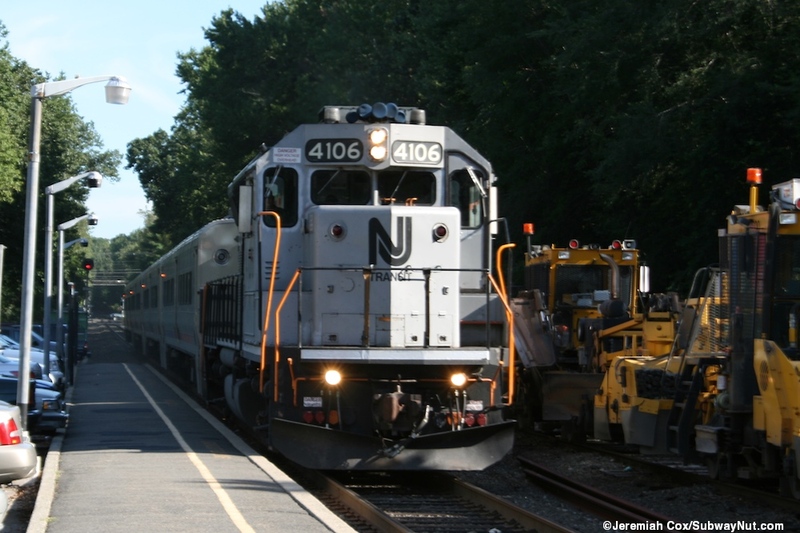 The walls are painted white with green trim. 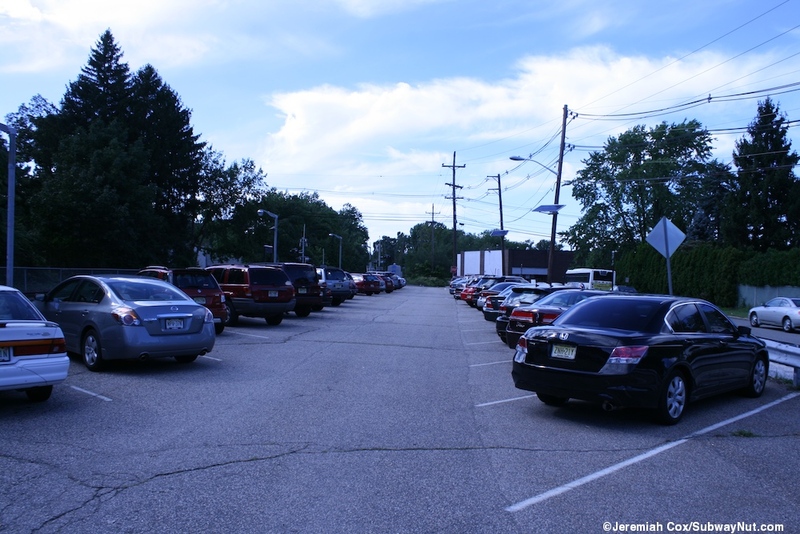 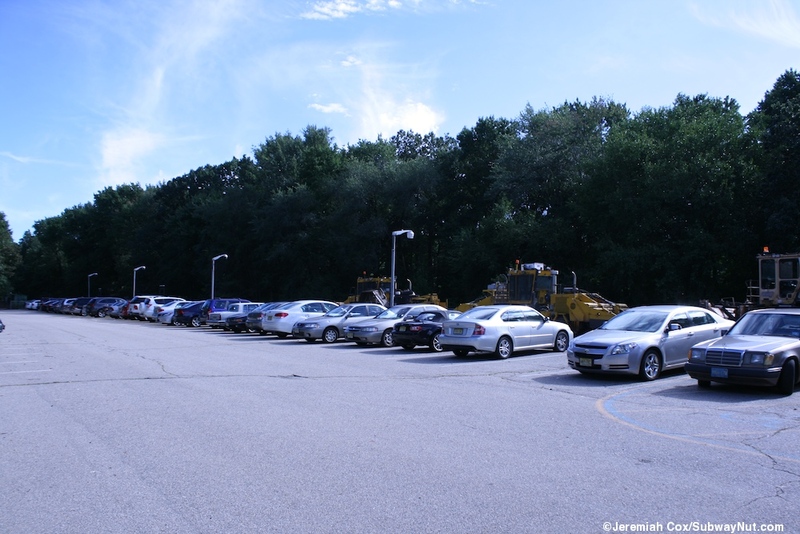 Along the rest of the platform on each side of the station house are parking lots with 134 free parking spaces (the price for limited train service).